Prolific pop novelist Wood (Perfect Harmony, 1998, etc.) 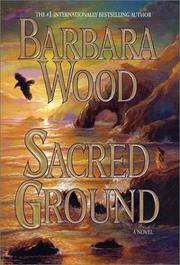 portrays a heroine with a thousand faces—in a saga about California’s women from 2000 years ago to the present. A 7.4 temblor opens the earth under an enclave in the Santa Monica Mountains, suddenly revealing an underground cave and bones. Investigating this ground sacred to the Topaa tribe, who once lived there adrift in magic, anthropologist Erica Tyler finds pictographs that point to what she calls “the find of the century” in California. Will this discovery help restore Tyler’s reputation after she was hoaxed a year ago with a fake shipwreck? Wood, ever the historian, handles the ancient peoples and later Spaniards and cowboys with the finesse of an archaeologist putting bits of bone together to discern culture overlaying culture. Then Erica discovers a reliquary that seems to hold the bones of St. Francis. Good medicine for the thirsty of spirit.